Designing and delivering exquisitel library furniture. Royal furnitures are leading manufacturers of library furnitures that are made by using quality raw materials. Our library furnitures are comprises of chairs, tables, library counters and book shelves etc. These furnitures are highly appreciated for its excellent quality, durability and robust construction. These are highly demanded by our clients spread across the globe. 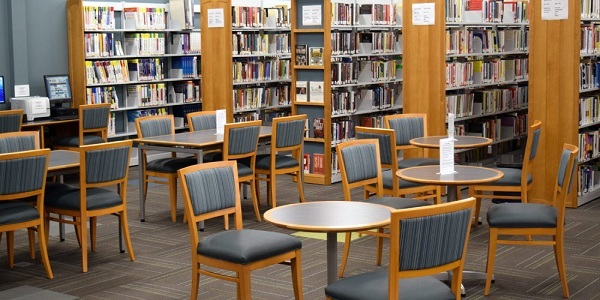 The purpose of the Library furniture can be derived from its name – a shelving system that allows for a unique image and a flexible learning environment. The Library furniture makes use of beautiful wood, sleek glass, and perforated sheet metal that work together to create a unique image fit for any library. Library furniture puts a contemporary twist on a classical look with special sound-absorbing surfaces that help influence room acoustics. Not only is our Library furniture pleasing to the eye, but it is effective and practical as well. Our Library furnitures are one of the most functional and flexible designs on the market.